Let’s start by saying that a camping overland tour is way more different than any other type of travels. 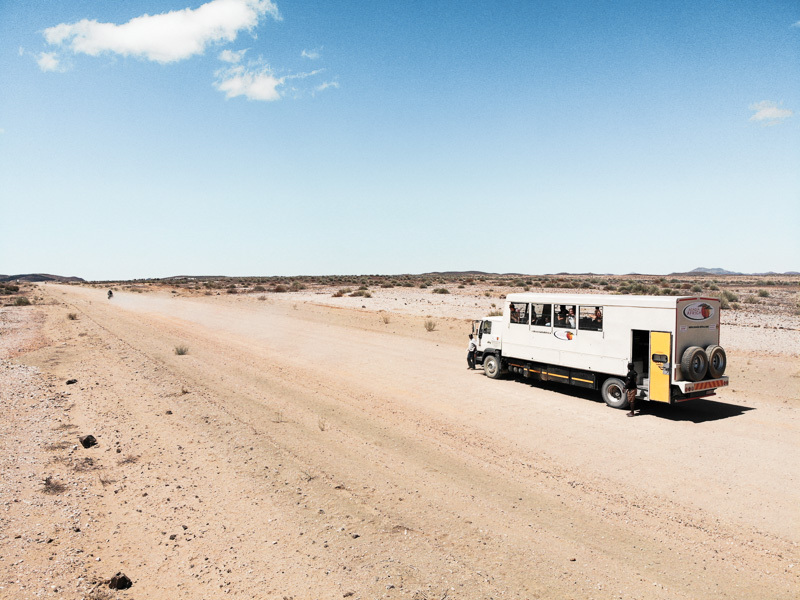 Most of the time you’ll be on the road (hello Africa! 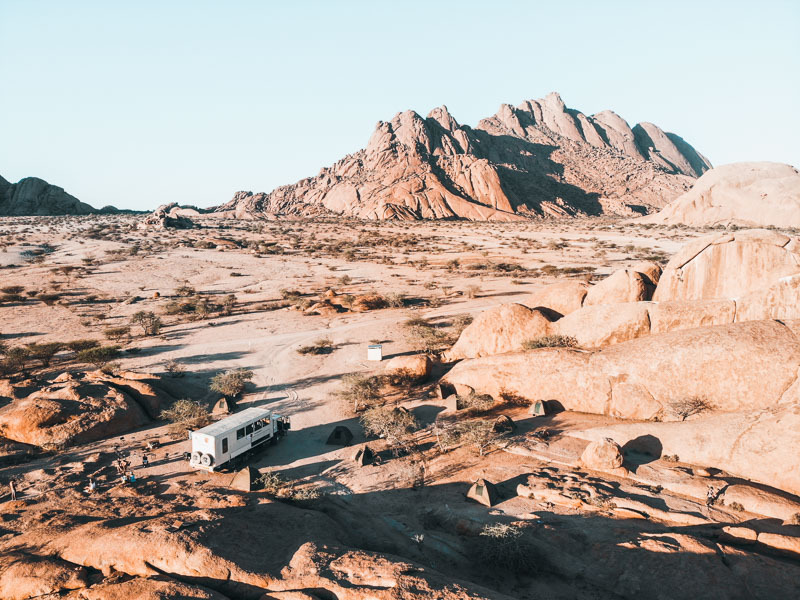 ), you’ll have early mornings, you’ll need to set up your tent every night, you’ll need to deal with shared bathrooms and you’ll need to accept an organized day-to-day itinerary. But, none of these will spoil your trip if you approach this adventure with a bit of flexibility and a big smile. It’s such a great way to see all those incredibly beautiful places and getting the most out of the time you have. And not to forget, you’ll be surrounded by like-minded travelers from all over the world where you can share all those experiences with… which will make the trip even more unforgettable. 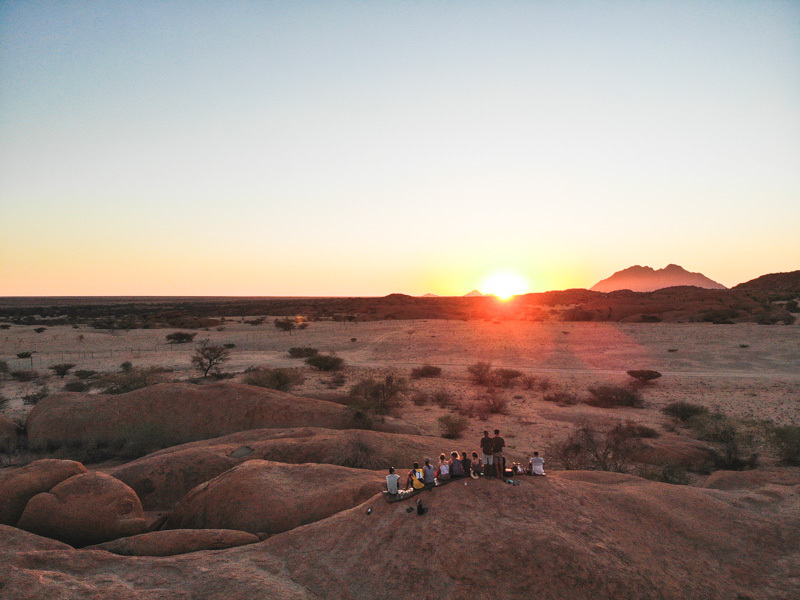 An African camping overland tour will truly leave an impression on you for the rest of your life! 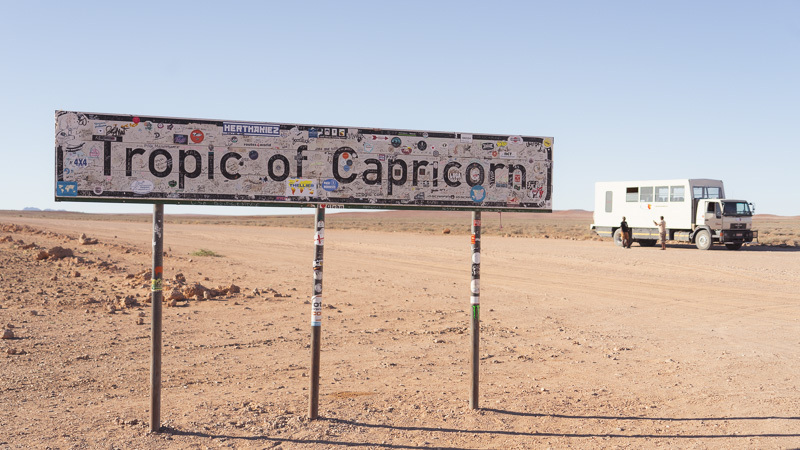 Last November we joined a 40-day camping overland tour with Acacia Africa from Cape Town to Cape Town covering 7 different countries. It was our first camping overland tour and definitely not the last one! 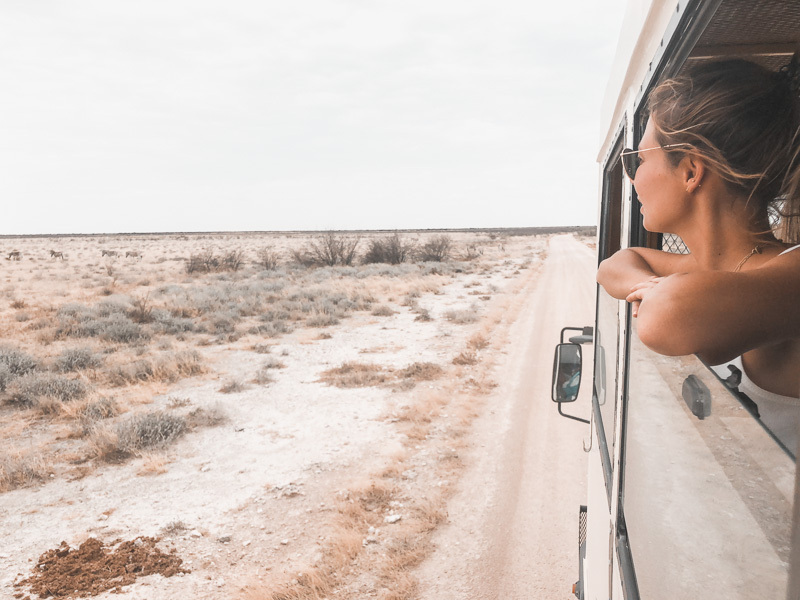 We’ve put together this post to share all the amazing experiences we had, our tips and recommendations and everything you need to know before you go on a camping overland tour. Ready? Let’s go. Being prepared before you go on a camping overland tour is very important and is also a lot different than preparing for a normal trip. Depending on your nationality, you might have to apply for some visas before starting the tour. Next, it’s very important to visit a doctor or a tropical medicine clinic to tell them about your travel plans and make sure you get vaccinated. Some areas are malaria zones, so keep in mind to protect yourself or take anti-malaria tablets with you. Another good tip is to bring some US dollars with you for the visas you need to pay at the borders, optional activities, and just in case an ATM doesn’t work or your card gets refused. 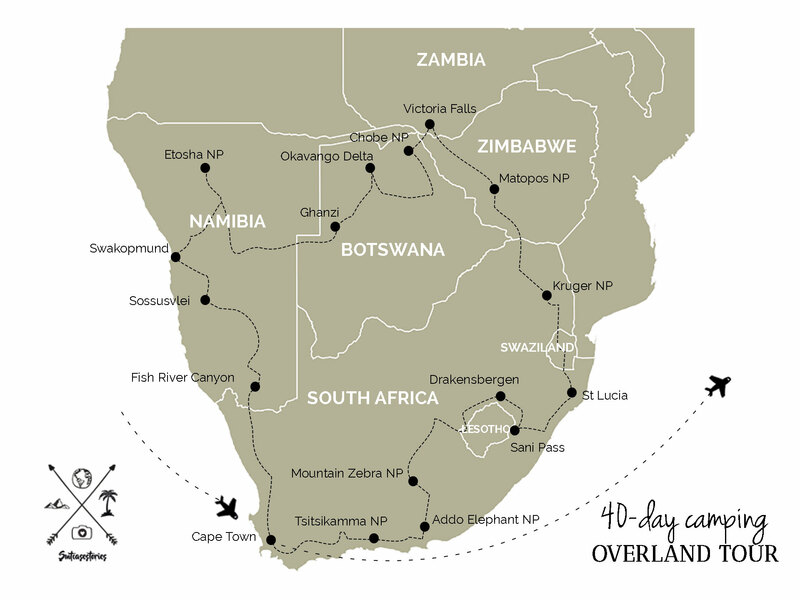 Also, investing in good travel insurance is no unnecessary luxury and required when you book an overland tour. Last but not least, pack as light as possible and take a soft bag instead of a hard suitcase with you. We know this is not that easy as it sounds, but you will thank yourself later. You can wash clothes at almost every campsite anyway. This is one of the best things when doing a camping overland tour and makes it so unique and memorable. 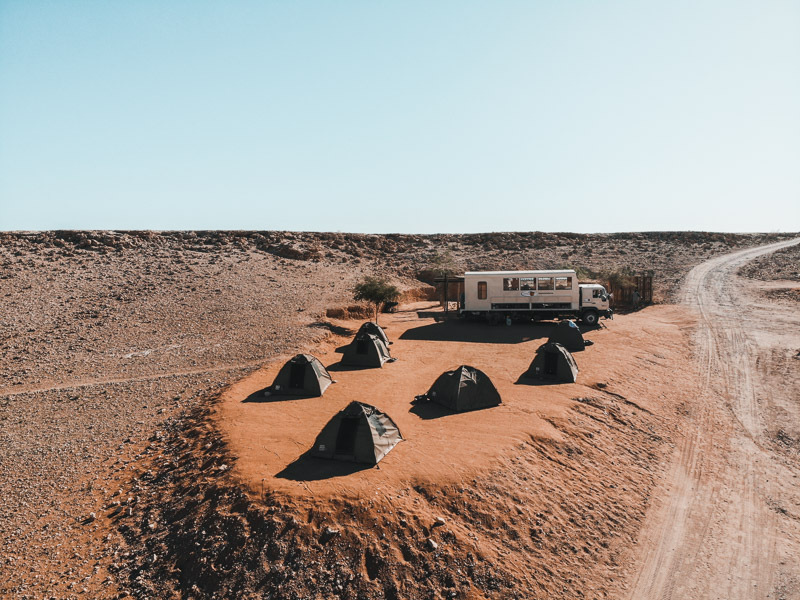 One day you’ll be camping under the stars in remote community camps, the other day you’ll be camping in the wilderness between amazing wildlife. It makes you feel far away from your comfort zone and gets you so close to nature. Waking up with the sounds of the bush and seeing the sunrise straight from your tent. Do we need to say more? 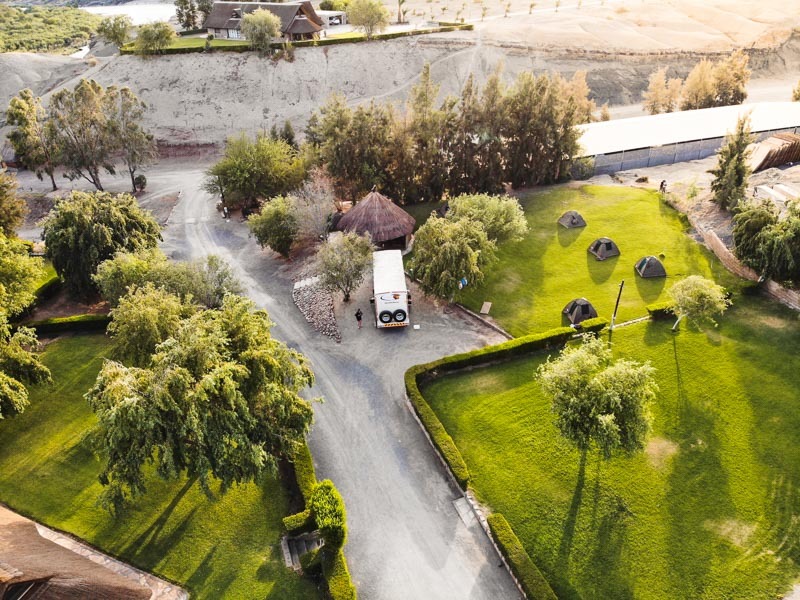 Depending on where you book a camping overland tour, you’ll get tents and sleeping mattresses. Acacia Africa is providing 2-person tents, which were surprisingly comfy and spacious, and sleeping mattresses. The tents are marked with a number and are the entire trip yours. The only things you’ll need to bring with you from home are a good sleeping bag (check the weather conditions before you leave) and a real pillow. It makes sleeping in a tent so much more pleasant, believe us! And if you don’t want to carry a big pillow from home, you can easily buy (like we did) one at the different PEP stores along the way. This is something we didn’t know when we booked the tour, but so nice they’re offering this option on each of their tours. 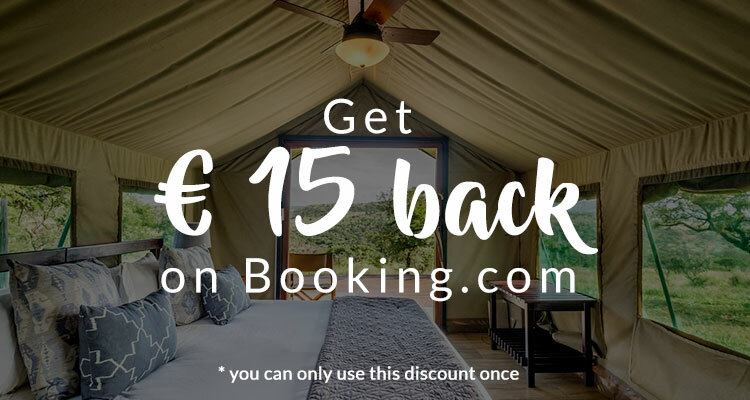 Depending on the campsite where you are staying at that moment, you’ll have the possibility to upgrade to a room or a luxury tent. Perfect for those who need a break now and then. for those who like to be “online” like us: buy a sim card with data at the local supermarket in each country but keep in mind the connections are really poor. The data you will get will be good for sending now and then a message on Whatsapp, but forget uploading pictures on Instagram or streaming videos ? take a USB cable with you to charge your phone during the rides. At the back of the truck, there is a charging point for different plugins. bring or buy a reusable lunchbox to store leftovers, fruit and snack veggies. Also very useful when you’re not into having an early breakfast. Speaking about early breakfast… Yes, having early mornings is part of the journey. Distances are big in Africa. Really big. So getting from A to B takes time. Leaving early means arriving in time and having more time for extra activities. Maybe it sounds extreme for some people, but you get into it after a few days! And look at the bright side: seeing villages waking up, kids waving at the side of the road, staring at the amazing landscapes while listening to the “Circle of Life”… You’ll love it! Planning a trip can be stressful. There is such an overload of information and tips, you sometimes don’t know anymore what to see and do best on a trip. With a camping overland tour, the job is done for you. All you need to do is reading the complete day-to-day itinerary of the tour you’re interested in, and then you just decide whether the route appeals to you or not. No time to lose in searching hours on the web looking for the right travel company, no prices to compare, no reviews to read, no payment to arrange at the spot… Just knowing that everything is well arranged and that the itinerary covers everything you need to see. Bye, bye stress! And above all, you’ll able to see such wonderful places and things that you wouldn’t discover on your own. While there are already plenty of unmissable experiences included on the tour, you’ll still have the possibility to do many optional things. These experiences are offered as a part of the tour and the perfect way to create the ultimate journey that suits you best. If you want to do something extra, you pay at the spot so you can easily decide a couple of days before or the day itself. Before you leave on the tour, you can also check the prices which are mentioned in the itinerary. Good to know how much money you need to save before you go. The food we got the entire trip exceeded our expectations. We were extremely lucky with the tour guides we had and we even had a vegan one, Eva, during our last journey through South Africa. They all tried so hard their best to treat us with vegan options the whole time given the circumstances – no proper kitchen and unlimited ingredients. We really can’t complain, we were surprised by the creativity they had and got most of the times really delicious food. So if you’re vegan/vegetarian too or you have other dietary requirements, just simply inform the organization before you leave. And one extra tip: when you stop for shopping in the supermarkets you can always buy (like we did) your own food like almond or soy milk, seeds, nuts and other snacks which you can easily store in their fridge. Apart from this, you’ll get three meals a day, which are included. Breakfast is quite simple but filling with coffee, tea, cereals, yogurts, bread and spreads, fruits and occasionally hot options too. Lunch depends on the distance you have to travel that day. Or you prepare your own lunch when you have breakfast, which is most of the times a filled sandwich with salad and spreads, or you stop at a picnic spot to have something quick like rice salad, pasta or wraps. Dinners are the most fun. 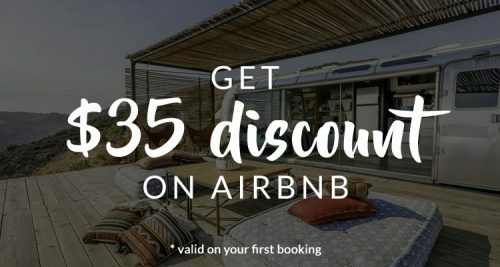 These are the times they really take time to cook delicious things like grilled fish and meat dishes on the braai (bbq), cooked vegetables, spaghetti, burgers or traditional stew while sitting around the campfire. Unforgettable moments! Depending on the crew you’ll have, a little participation is required from everyone in the group. 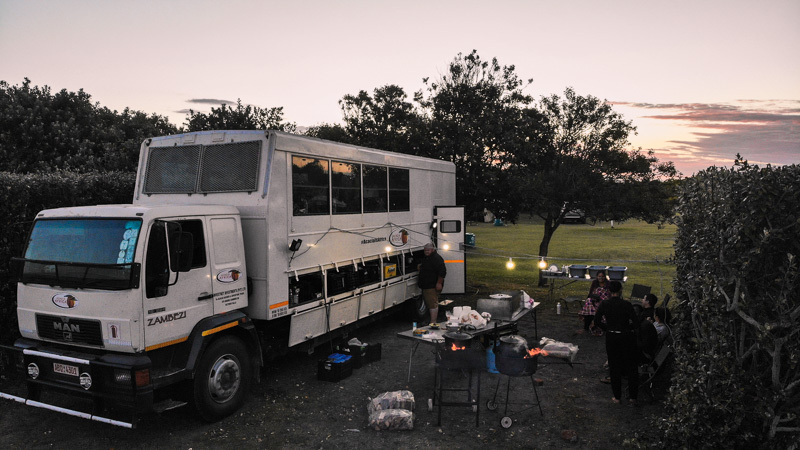 You get divided into small groups to assist the guide with cooking, truck cleaning, packing and washing up. There is a rotation in the duties every day and getting involved in these things was actually fun and great to get to know each other better. As this is a real adventure and not a typical holiday, it’s just part of the whole experience. 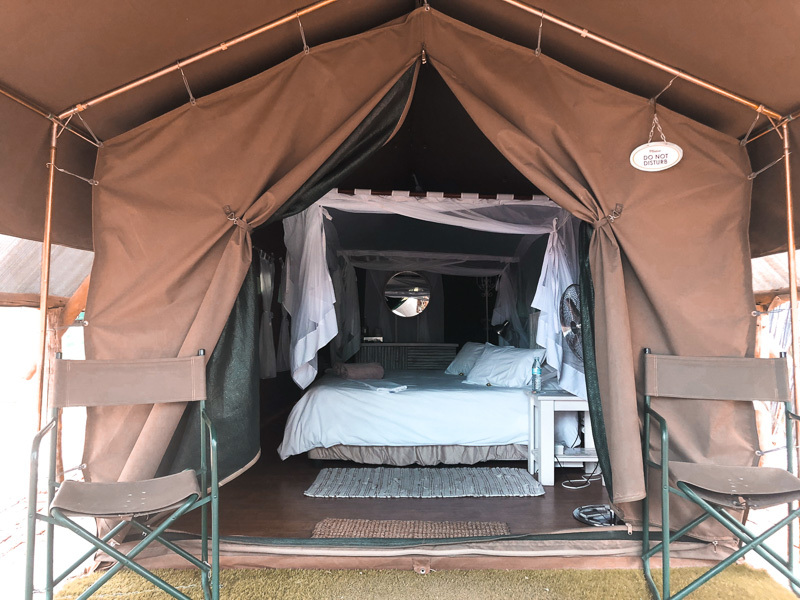 The camping overland tours of Acacia Africa targets travelers in the 18-39 range and is perfect for those who want to travel through Africa on a budget and want to make the most out of it in a short period of time. The average size of these tours is around 14 travelers, which we liked a lot. Our last journey of the trip through South Africa we were only with 8, so it really depends on the destination, period and type of tour. We also founded that the tours were a great mix of solo travelers, couples and friends. If you like this phrase, then a camping overland tour is definitely something for you! Along the way, you get the chance to meet so many amazing people from all around the world where you will share unforgettable moments with. It’s a great way to create life-long friendships and just to have so much fun during the whole journey.